The Jesuit historian, John W. O'Malley wrote of the foundations of the Sodality in his book The First Jesuits, that, 'It was... made up especially of younger boys (pueri) from the college, who agreed to daily mass, weekly confession, monthly Communion, as well as to a half-hour of meditation each day and to some other pious exercises. They would also "serve the poor."' He goes on to write that, "The choice of Mary as patron reflected the strong Marian element in Leunis's personal piety, but it was also probably considered appropriate for the age of the members". In 1569 a division of the sodality in the Roman College became necessary on account of the large number of members. The older pupils, those over eighteen years of age, formed a sodality for themselves, while the younger were formed into another. Soon there were three sodalities in the Roman College. 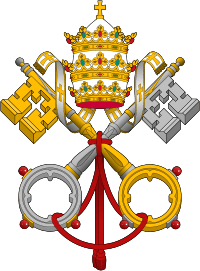 In 1584, the Roman Sodality was made an archsodality by the Bull, "Omnipotentis Dei", of Gregory XIII. 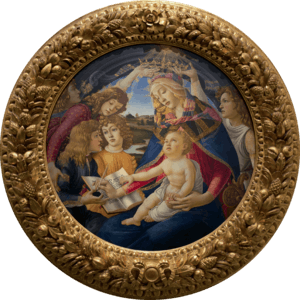 Wherever the Society of Jesus went to establish colleges or missions, a sodality of the Blessed Virgin was soon erected in that place. In all the larger cities of Europe where the Jesuits established themselves firmly, they founded not merely one, but as many as seven or even twenty different sodalities. During the period that the sodalities were connected with the houses and churches of the Jesuits the membership rose to many hundred thousands. In 1587, following a request from the Society of Jesus, Pope Sixtus V issued the Papal bull Superna Dispositione, which gave the Superior General of the Society of Jesus the right to create aggregates of the first Congregation within other localities, even among persons who were not enrolled in a Jesuit school or University. As a result of this document, lay Congregations, such as the Ignatian Christian Life Community, and the Ignatian in origin, 'Marianische Frauencongregation' or 'Ladies' Sodality of Our Lady' of Regensburg, Germany, derive their beginnings. Similar models, although not aggregates of the 'Prima Primaria', were the confrarias (or Confraternities) founded by the Jesuits in Japan. Within a few years of their arrival in 1549, the Jesuits had established lay communities of Catholic faithful. According to O'Malley, "Eventually [they] had male and female branches and devoted themselves to both the corporal and spiritual works of mercy. When the persecutions started in the seventeenth century (see Toyotomi Hideyoshi), [the Confraternities] proved to be the underground institution in which Christian faith and practices were maintained and transmitted to the next generation. The leader of the confraternity acted as a lay pastor". About a century later, in 1748, Pope Benedict XIV, with the Papal bull, Praeclaris Romanorum, attempted to renew the vigour of Congregation life. For one hundred and sixty-seven years of the Sodality's existence, from 1584 to 1751, membership was open only to men. In 1767, the Society of Jesus was expelled from Latin America and in 1773, with the suppression of the Jesuits by Pope Clement XIV, through the brief Dominus ac Redemptor, the congregations 'become one of the normal works of the universal Church'. The Society of Jesus was re-established in 1814, and Leo XII restored to the Jesuit general his old rights and privileges as regards the Sodalities of the Blessed Virgin by a Brief of 17 May, 1824. In 1825, Pope Leo XII granted affiliation to Sodalities not under Jesuit direction. By 1854 there were over 4,000 sodalities enrolled throughout the world. In 1748, Pope Benedict XIV made a special gift to the Sodality, in the form of a Papal bull called Gloriosae Dominae, which came to be known as the "Golden Bull" because the seal was not made of lead, as was customary, but of gold - in order to give special honour to the Mother of God. In addition, Pope Pius XII, through the Apostolic Constitution (1948), called Bis Saeculari, gave special honour to the Sodality by summarising the history and relevance of the Sodality. Pope Pius XII issued the Apostolic Constitution Bis Saeculari on the 27th of September, 1948, to mark the 200th anniversary of the "Golden Bull" of Benedict XIV. Bis Saeculari, praised the Sodality for its "numerous and great services to the Church" and said of the Sodalists that "Indeed in propagating, spreading and defending Catholic doctrine they must be considered among the most powerful spiritual forces". Of the Rules of the Sodality he says "through them the members are perfectly lead to that perfection of spiritual life from which they can scale the heights of sanctity" and adds that "wherever Sodalities are in a flourishing condition - holiness of life and solid attachment to religion readily grow and flourish". He illustrates the point by adding that "the fact that they ever had the common good of the Church at heart and not some private interest is proved by the unimpeachable witness of that most brilliant series of Sodalists to whom Mother Church has decreed the supreme honours of the Altars; their glory throws lustre not merely on the Society of Jesus but on the secular clergy and on not a few religious families, since ten members of the Sodalities of Our Lady became founders of new Religious Orders and Congregations". On May 1, 1835, St. Catherine Laboure told her Spiritual Director of a revelation she had received from the Blessed Virgin Mary during a series of apparitions she received in the Convent of the Rue du Bac, Paris, from 1830: "It is the Blessed Virgin's wish that you should found a Confraternity of the Children of Mary. She will give them many graces. The month of May will be kept with great splendour and Mary will bestow abundant blessings upon them." These Children of Mary Sodalities first embraced the pupils and orphans of the schools and institutions of the Sisters of Charity of St Vincent de Paul. In 1847, Blessed Pius IX affiliated them to the Jesuit Roman Sodality. The badge adopted by the Children of Mary Immaculate is the miraculous medal, suspended from a blue ribbon. The Children of Mary organization flourished in the mid 20th century. Young women went through a period of aspirancy of six months prior to acceptance as a fully fledged child of Mary, who had the right to wear the distinctive blue cape and carry the blue cape of a Child of Mary. When a Child of Mary married, she was embraced on arrival on the Church steps by other Children of Mary who removed the blue cape from over her wedding gown. The first of its rules states that the Sodality: "is a religious body which aims at fostering in its members and ardent devotion, reverence, and filial love towards the Blessed Virgin Mary. Through this devotion, and with the protection of so good a Mother, it seeks to make the faithful gathered together under her name good Catholics, sincerely bent on sanctifying themselves, each in his state of life, and zealous, as for as their condition in life permits, to save and sanctify their neighbour and to defend the Church of Jesus Christ against the attacks of the wicked." Some Marian Congregations have been reconstituted since Vatican II, the Marianische Frauencongregation or Ladies' Sodality of Our Lady of Regensburg is a case in point. HSH Princess Gloria von Thurn und Taxis is the re-founding Prefect. Many Sodalities of Our Lady, in the spirit of the Second Vatican Council, were led to become more devoted to people who were in spiritual and physical need (the hungry, naked, homeless and imprisoned), after having been encouraged to return to their original charism by the Ecumenical Council. Those who still form part of the 'Marian Congregations', such as the 'Marianische Frauencongregation' of Regensburg, Germany, would argue otherwise. While some Marian sodalities do not explicitly follow Ignatian spirituality, they continue to encourage corporal and spiritual works of mercy, and believe their devotional practices worthy of merit. With the formation of the CLC the former World Federation of Sodalities no longer exists. Some parish sodalities opted either not to join the CLC or subsequently withdrew. Sodality has no central organization; each Sodality is considered autonomous. There are three diocesan unions of sodalities: in New York, Baltimore, and Washington, D.C.
On its rolls are the names of many saints, amongst whom may be mentioned: Saint Charles Borromeo, the zealous reformer of Church Discipline; Saint Alphonsus Liguori, the Bishop, Moral Theologian, Doctor of the Church, Founder of the Redemptorists; St. Camillus de Lellis, the patron of Catholic hospitals; Saint Giovanni Battista de Rossi, the Vincent de Paul of Rome; St. Peter Claver, the apostle of slaves; the humble Jesuit Brother, St. Alphonsus Rodriguez; Saint Madeleine Sophie Barat, foundress of the Religious of the Sacred Heart;Saint Julie Billart, the foundress of the Sisters of Notre Dame of Namur; Saint Therese of the Child Jesus, and Saint Bernadette Soubirous of Lourdes. 1 2 3 4 "From Marian Congregations to World Christian Life Community"
Agrupacion Catolica Universitaria, Miami, Florida, U.S.